At least three new books seeking to understand the Columbine school shooting in Colorado are coming out in time for next month's 10th anniversary. Two are written by journalists who covered the rampage and then spent a decade looking into the killers' backgrounds, the government investigation and survivors' recovery. The third is written by a psychologist who has worked extensively with children in crisis. Seniors Eric Harris and Dylan Klebold killed 12 students and one teacher in less than 20 minutes on April 20, 1999. Millions watched on television as SWAT teams spent hours clearing Columbine High School and emergency workers evacuated two dozen others who were injured. Freelance writer Dave Cullen initially covered the attack for the online magazine Salon. His book, "Columbine," weaves three story lines reconstructing the attack, the killers' development and the aftermath into a compelling nonfiction narrative. Jeff Kass, a longtime reporter for the Rocky Mountain News, focuses primarily on the killers' development and the battle to get government records related to the shooting released. The paperback "Columbine: A True Crime Story" contains excerpts from hard-won copies of Klebold's college admissions essays and a deposition from the diversion counselor who supervised the boys after they were arrested for breaking into a van. A third book, "Why Kids Kill: Inside the Minds of School Shooters" by Pennsylvania psychologist Peter Langman, looks more broadly at school shootings. Harris, 18, and Klebold, 17, are among the killers he profiles. Harris and Klebold planned the attack as a terrorist bombing and began shooting when the bombs failed to go off. They were not Goths or members of the Trench Coat Mafia, a small group of students who had taken to wearing dusters the year before. They wore trench coats to the massacre in part to hide weapons. The boys did not target jocks or minorities. They aimed to kill as many people as possible. Some victims happened to be athletes and minorities. There is also the shocker: The killing lasted only 17.5 minutes. The boys got bored, stopped, wandered the high school for about a half hour and then shot themselves. Most people believe the attack went on for as long as they watched telecasts of officers sweeping the school. "Everyone thinks in a way, 'I was an eye witness. I know it went on for four hours because I remember being there that day,"' said Cullen, 47, of Denver. His book spends considerable time revisiting the myths of Columbine in an effort to correct them. For example, many people remember that junior Cassie Bernall professed her faith in God before she died. That didn't happen. A witness initially confused Bernall with survivor Valeen Schnurr, who told Klebold she believed in God after he shot her. Bernall had no time to speak before Harris shot her in the head. While the Columbine books largely agree on what happened, Cullen and Kass portray the boys very differently. Cullen discounts the idea that Harris and Klebold were outcasts or bullied. They had three close, mutual friends and regularly hung out with a group of 10 to 15 others, he said. "They had an extremely active social life," he said in an interview. "Eric had a date to homecoming freshman year." Kass describes the boys' circle as "probably the lowest rung of the social ladder." Also, the boys complain in their journals about being left out and feeling alienated and alone. "Even if you look at their circle of friends and say they had a normal circle of friends, Eric and Dylan were blinded by their mental illnesses to the friends they had," said Kass, 40, of Denver. Cullen, like Langman, accepts the common diagnosis of Harris as a psychopath lacking in conscience. Kass is more skeptical, pointing out that most psychopaths are not violent. Also, Harris shows an attention to detail not common among psychopaths in his planning of the attack and success at an after-school job, he said. Ultimately, both authors come to a conclusion about why the attack happened. But they differ on that, too. "I think Columbine and other school shootings are an outgrowth of the South and West of the United States, and suburbs and small towns," Kass said. "In suburbs and small towns, if you're an outcast in high school, you feel like a loser through-and-through because there are no alternative outlets to find your self-esteem. ... And in the South and the West, there is a mentality that if you feel your honor has been injured, you take it upon yourself to retaliate." 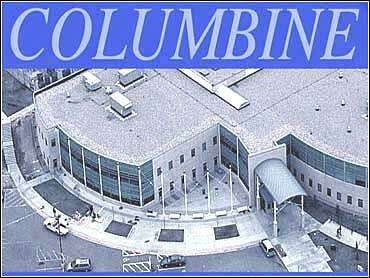 Columbine might not have happened if the boys lived elsewhere, he said. But Cullen believes Harris would have killed regardless of where he lived. "The reason Eric did it is because he was a sadistic psychopath with no conscience and nothing to stop him from hurting anyone," Cullen said. "He did it for enjoyment and self-aggrandizement." Klebold, he said, was intent on suicide but might not have killed if he hadn't befriended Harris. "Dylan got tired of hating himself," Cullen said, "And Eric helped him turn the anger outward and even the score on the way out."